Congratulations to Nora Mazloumian of Markham who called when she heard the Flight 963 boarding call. Now Nora and a guest are off to enjoy beautiful Cabo San Lucas, Mexico where they will stay at the beachfront 5-star Riu Palace Cabo San Lucas. Listen for the Flight 963 boarding call weekdays between 6 am and 6 pm for your chance to fly away with us on Flight 963 to Mexico. 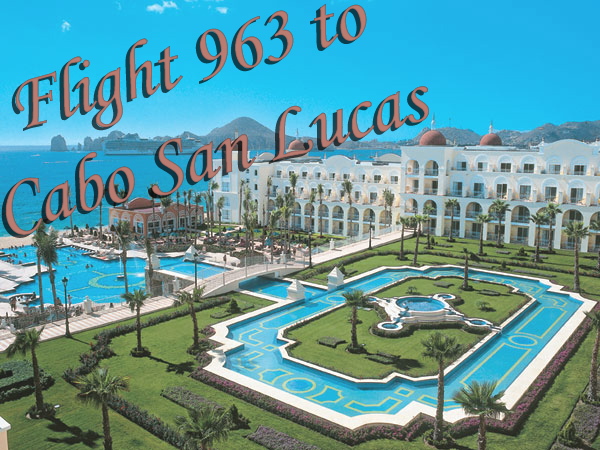 Every Monday morning at 7:25am we’ll pick another winner who will be joining us on Flight 963 to Cabo San Lucas from Signature Vacations, Riu Hotels and Resorts and the New Classical 96.3 FM, Toronto’s only all classical station.